Check out Speaker Quest Part One, and Part Two if you haven’t already! Now that we know all about British voicing, let’s take a look at its American counterpart. If British speakers are the flashy showman with the in-your-face attitude, American speakers are the guy telling that other guy to calm the hell down. Their frequency response is usually more even, with more emphasis on low-end warmth and less on punch and shimmer. To give you a frame of reference, these are the speakers you’ll find in a Fender amp, or 6V6/6L6-powered tube amp. 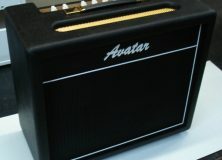 You’re also likely to find speakers with American voicing in clean amps where a more neutral frequency response is ideal. 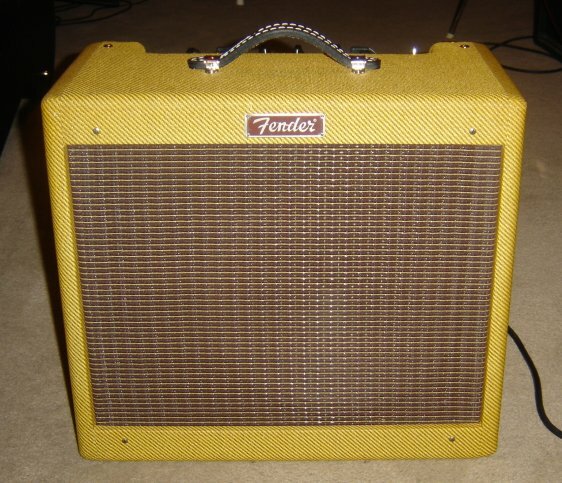 The legendary Fender Blues Jr.
American-voiced guitar speakers go way back to the late ‘40s and ‘50s, when Fender came out with their first line of tweed amps. 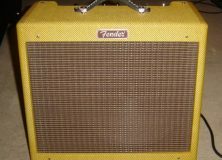 In fact, many equate American voicing with that classic Fender tone: round, mellow and clean, but with plenty of top-end chime. Jensen and CTS developed many of the speakers for these early Fender amps, and some purists continue to hunt these vintage gems. 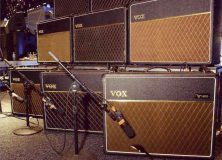 However, a lot’s changed since 1950, and there plenty of options these days for the thrifty guitarist seeking American tone. 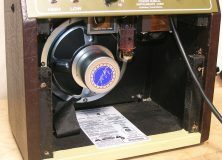 The Jensen P10R and P10Q are probably the most famous in this category, as well as the aforementioned Alnico CTS speakers. But these speakers are rare, and not really practical if you’re looking for an affordable and reliable speaker replacement. Eminence is known for its American-voiced speakers, including the popular Legend and Copperhead models. Many Eminence speakers offer a unique take on the American sound; for example, the aggressive Ragin’ Cajun’ is great for rock lead guitar, and the Delta Demon’s creamy dark tone just screams delta blues. While British-voiced speakers lend themselves to hard rock riffs and sizzling leads, American-voiced speakers are better suited to warmer, subtler sounds. They really shine with blues, country and jazz, as well as any other style that requires a nice clean sound. Because they tend to break up later than their British brethren, American speakers are great if you use pedals for dirt. Fuzz fiends will definitely appreciate the extra headroom that these speakers afford. In all, American-voiced speakers are very versatile drivers. Whether you like to plug directly into a tweed for some bluesy crunch, or you have a pedalboard that goes on for days, the right American speaker is likely to give you a tone that satisfies. Speaker Quest Part Four is here! 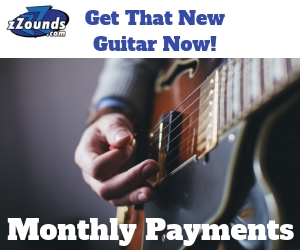 ← Looking to Buy an Acoustic Guitar? Read This First.